Cowboys get all the attention… Good looking, talented guys on horseback… the Quintessential Romantic Cowboy. But at brandings, there are some unsung heroes… the Vaccinators! 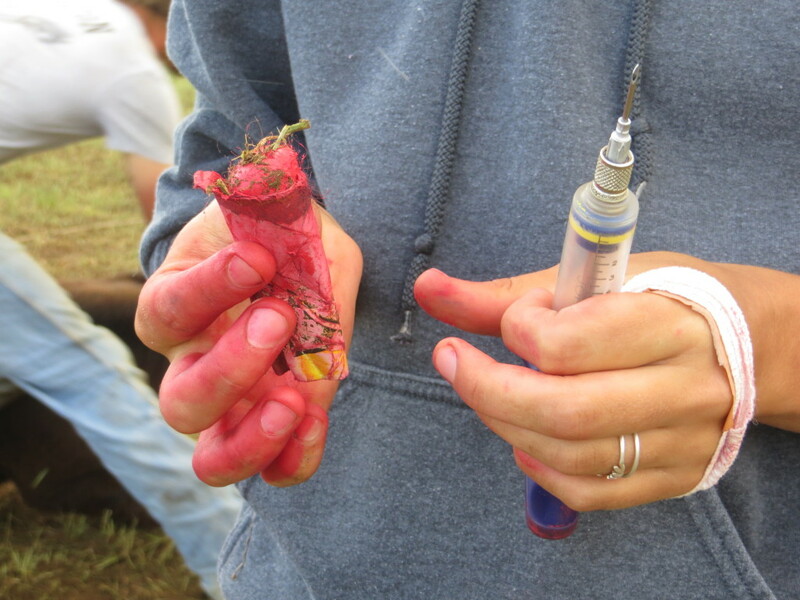 Vaccinators visit each calf, injecting them with vaccines covering everything from Blackleg to BRSV. We also have started giving them a mineral shot. 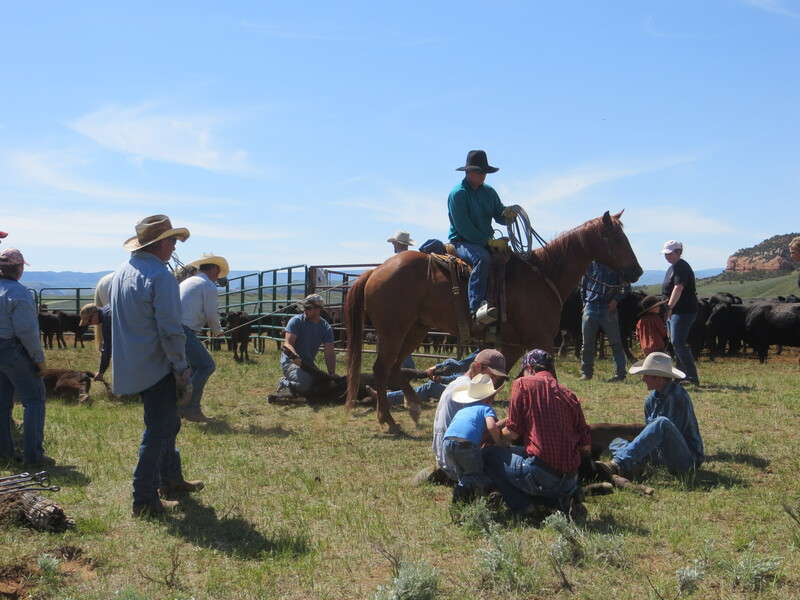 They must do deep knee bends, placing the shot in different spots, while avoiding the legs of the guys holding the calves. Vaccinators are often followed by little short people who get one of the first jobs delegated at brandings. 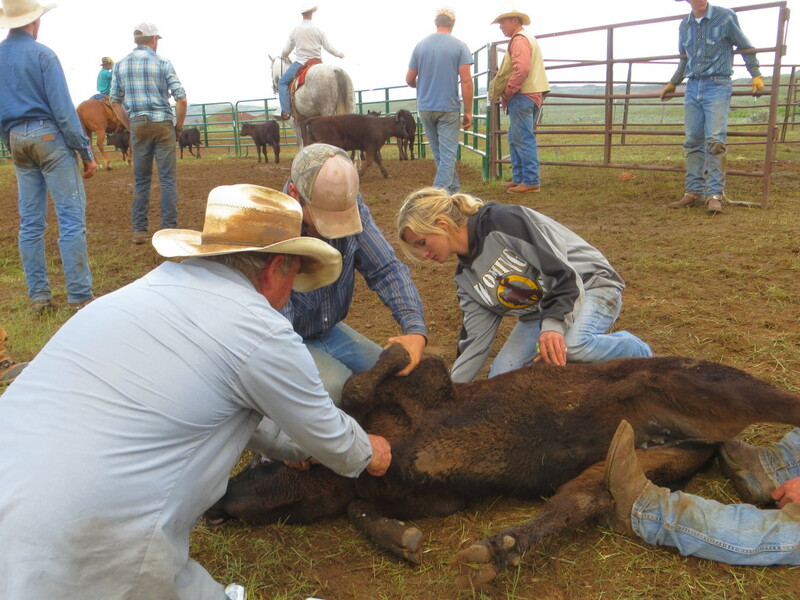 This job is “Marker” and the purpose is to use a greasy chalk to mark the calf that each vaccinator has been there. Each girl has her own color, and place to mark as well. Usually, it’s a stripe down the face or along the back. Quinlan is helping Megan. By the end of the day, you’ve gone through a whole stick or more, and as Tess said, “My hands look like I murdered someone!” “Ah, so it was Tess in the library with the candlestick?” “No,” she quipped back, “The corral with a needle!” Good one! 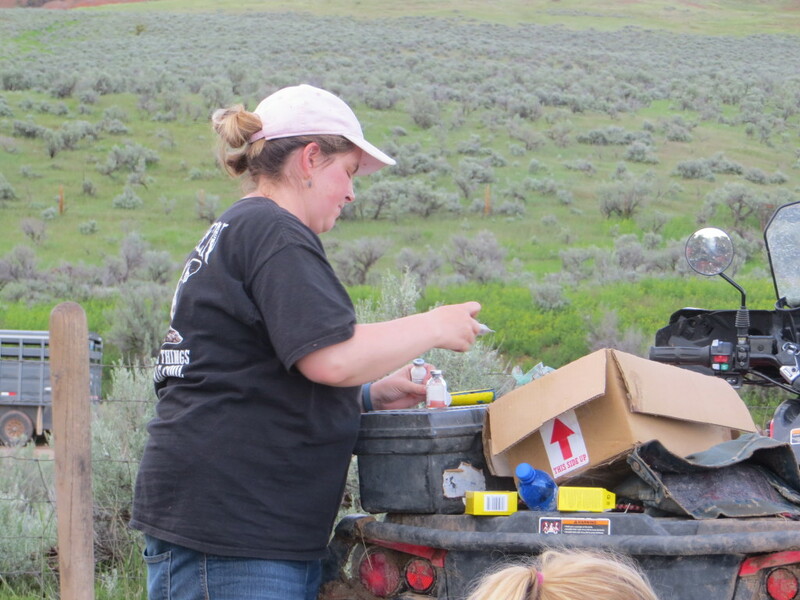 As designated vaccine woman, you must also mix the vaccine if necessary, keep your needles clean and change them, fill your “gun” or syringe and dose the proper amount either in the muscle or under the hide as per instructions, get to every calf fast so the cowboys don’t hold the calf for a long time, and stay out of the way of the branders! Those irons are HOT. Cool shirt! 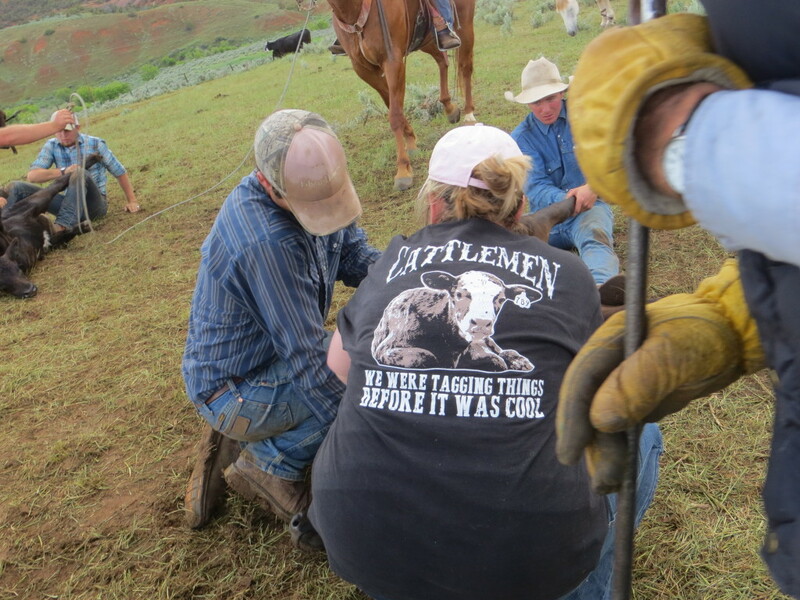 Liked all the intersting details and comments you put into today’s picture – learned a lot and enjoyed learning about the unsung heroes: the cowgirls (and Quinlan!!). Great commentary on branding. For just a quick moment in time I thought the red chalk was something tasty. Wonderful to have so many working together to get the job done. Great tagging shirt. Ohh the deep knee bends. Sadly gone from my life. Annoying when little people visit.